Tried and true technology. We stand by it. You can stand on it. Formulated to the highest standards, our oil-modified hardwood floor finishes help you seal, enhance and beautify hardwood floors with ease and exceptional results. 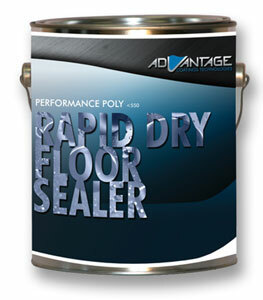 Rapid Dry seals wood and dries fast, allowing multiple coats in a day. The light amber color enhances the natural wood tones and is compatible with all Advantage Coatings finishes. Formulated for use under all Advantage Coatings’ finishes.